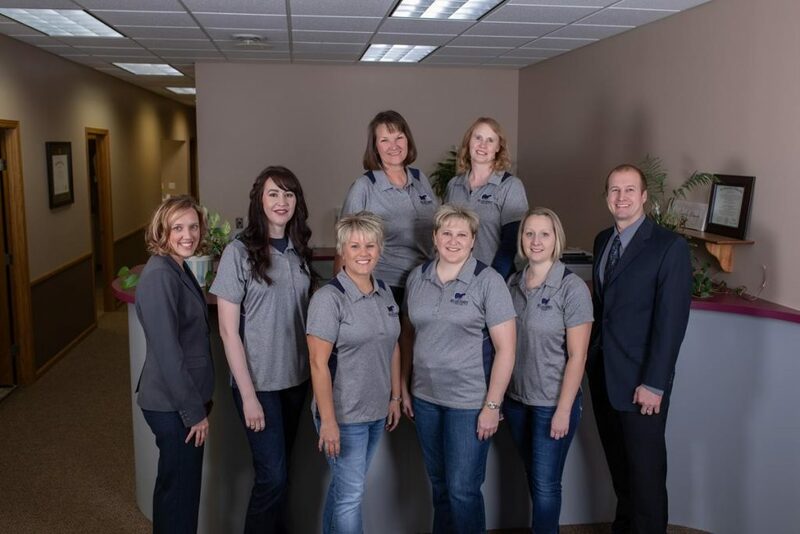 The Neligh Family Dentistry team is dedicated to ensure that your visit is friendly and each patient has the best experience possible. ​We work hard to create an environment that is comfortable and professional, as well as fun and inviting. Click below to learn a little bit more about each of our providers and support staff. Dr. Brovont is originally from Lyons, Nebraska, where he grew up on a farm helping his family raise corn and soybeans, with passions for the outdoors and sports. After graduating from Lyons-Decatur Northeast he pursued his undergraduate degree at Nebraska Wesleyan University. Dr. Brovont received his doctorate of dental surgery from the University of Oklahoma College of Dentistry in 2014. He is joined in practice by his wife Dr. Cristina Brovont. His passion for the outdoors and sports continues today. He enjoys spending his free time with his familly camping, hunting, fishing and attending Nebraska games. Dr. Cristina Brovont is thrilled to be a part of Neligh Family Dentistry. She chose the path to dentistry because she loves how it combines both science and art. She graduated from the University of Nebraska Medical Center, College of Dentistry in 2010. She enjoys treating patients of all ages and believes in comprehensive care focused on prevention for the entire family. She is a member of the American Dental Association, Academy of General Dentistry and most recently embarked on training to provide comprehensive orthodontics through one of the world’s leading orthodontic training program for general dentists, Progressive Orthodontics. Drs. Tim and Cristina have teamed up to focus on providing your family with the care you need for a healthy smile for life. When she is not practicing dentistry she enjoys spending time with her family. Tim and Cristina have three boys and are expecting their fourth child in July 2019. She enjoys spending time outdoors camping. She also enjoys running and walking, usually with a stroller/and or a dog or two in the process! Her other hobbies include sewing, crafting, and DIY projects. She welcomes you and your family to the office with open arms!